Barnes & Noble has announced Nook Video – which will launch in the coming months with movies and TV shows in the US and UK. With the service arriving in the US soon and the UK before the end of the year, Barnes & Noble will be hoping its can compete with main rival Amazon, as well as offerings like Netflix. 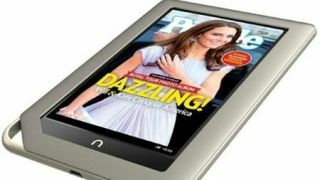 The service will be available on the company's Nook range, but also other devices courtesy of a free app. The list of content providers is certainly impressive with movies and TV shows from the likes of Disney, HBO, Sony Pictures Home Entertainment, STARZ, Viacom and Warner Bros.
"As one of the world's largest retailers of physical video discs and digital copyrighted content, our new NOOK Video service will give our customers another way to be entertained with a vast and growing digital video collection, as part of our expansive NOOK Store," said William J. Lynch, CEO of Barnes & Noble. "The launch of our new digital video service with our long-time studio partners allows us to bring award-winning current and classic movies, TV shows, documentaries and more to millions of customers' screens, coming soon." Purchases will live in the Nook cloud, as well as allow easy access to UltraViolet-enabled physical purchases from Barnes & Noble.